Home › Tools › What Is The MOBE And MTTB 21 Step Program? These two programs are both created by Matt Lloyd, My Own Business Education (MOBE) & My Top Tier Business (MTTB). These were created in 2011. These are generally lumped together and is confusing for most people. These are different but also the same. Let me explain. This is an educational training company designed to teach people how to make money online by selling them products, as well as a marketing system. This is an affiliate program, which pays you a various percentage when someone buys a product through a link. Just as the name says top tier (expensive), thus meaning you’re going to have to invest 1,000’s or even 10,000’s of dollars to attain top tier. Still interested? I wouldn’t be. Crazy expensive. They offer a 21 step training course that teaches you how to make, through their system, the almighty dollar online. This system is designed to promote Matt Lloyd’s MOBE business. It is created to help beginners and intermediates become proficient and successful in MOBE. Along the way expect to be hit with numerous expensive upsells. I usually hightail it whenever I encounter upsells, I just find it shady in a way. Matt Lloyd is a self-made young man who grew up in Western Australia. His entrepreneurship eventually lead him to online marketing, where he created MOBE and later MTTB. Training seems to be good but at a price. I got a headache from this system trying to understand it. When that happens, it’s ridiculous or a scam, and I would avoid. I enjoy a simple concept that doesn’t get convoluted. If you don’t have any money, this program is not for you, as it requires payment to succeed to get to higher tiers, with more profits. The upsells. Gawd, I hate em. Upsells are optional. Expect to be bombarded with salespeople wanting you to buy their upsells. Hard to understand the business and confusing names. Got that MLM flavor to it and I also hate MLM. Have to converse with people (coaches) on the phone or Skype. Have to generate your own leads. You better be an excellent salesman to flourish here. A company with two different names always throws the red flag up for me. Why is that? Well, because most scams change names often because the word gets out that they’re a scam and they change their name to attract new customers. You have to pay them $49.00 just to take a look under the hood. I want transparency. Make you sign an NDA (Non-Disclosure Agreement). Lots of negative reviews online of people trying MOBE and failing at it. I have two way better alternatives for you that are cheaper and have a fuller scope in that you’re not just limiting yourself to pressuring people to join MOBE and MTTB. Both methods are wonderful because you pick what your niche is going to be. This is something you already enjoy doing. A word of advice, the first one is more of doing it yourself (the method I do) and the second choice is a method with more help with designing and maintaining. Both are great systems that will get you earning money online. My first recommendation is Wealthy Affiliate; you can read my full review here Wealthy Affiliate Review 2017. This system is all-encompassing, it will teach you step-by-step how to build your own online business for a low as $49.00 a month, yeah not thousands of dollars. No upsells. This is so much cheaper alternative to MOBE or MTTB. Believe me, it’s worth it. Basically, they teach you how to build and maintain a website that will bring in money. The great thing too, is that you can have up to 50 sites at Wealthy Affiliate. This is my #1 recommended way to make money online. This is just a quick run through…read my review above for a further explanation. The second recommendation is My Business Venture; this is a technology service company. You can read my full review here, Is My Business Venture A Scam?. It provides various services for either the Internet, Home-Based, or Mail Order business. 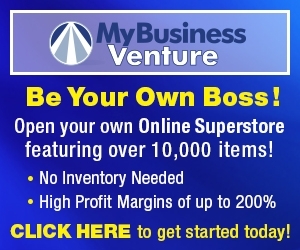 They provide all the necessary tools to help you build your own online business. They charge for this service, but it is worth it, as they provide top-notch support and service for a very acceptable price. Click the link below to learn more. This system is designed for people with money; if you’re broke and have little money, this isn’t for you. It takes money to make money with this system. The training seems to be adequate, but that will come with a higher price tag attached to it. They also have a lot of free materials that you can read on their website. Coaches are there and if you need help if needed. I sincerely hope this review has helped you make a decision. Setting up an online business, shouldn’t cost thousands of dollars. This is really overpriced training and products. I know because I have set up my own websites (this one included for far, far less). MOBE and MTTB want you to pay for promoting their products, while in the real affiliate marketing world you are paid to promote said product. Why would I want to spend to promote your product when I can do it for free. I just can’t get passed this with this company. I know other methods that work better and cheaper, I try not to overpay for anything…, and this includes affiliate marketing. Although I think they offer value and decent training, I find their business as a whole tiresome and repulsive. Do, I think some people flourish…sure, I bet some sure do. I just find this, despite Matt’s poor upbringing relatable, and in contradiction to the bottom line what his program offers, as it caters to people with money. Thus Matt forgets his roots and where he came from. As mentioned above, if you are looking for a 100% legit way to make money, by owning your own website. It provides the best training online along with the most helpful and friendly community, with all the support to get you building your online business. I recommend you read my #1 Recommended Program and sign up to get started today. ‹ How Long Should A Blog Posts Be? If you have in anyway lost funds to this scam binary option investment brokers do try reaching out to Geminihacks (dot( (com) they helped me recover my funds within a week effortlessly.